For students who are living on campus, one of the many things to look forward to is turning the cookie-cutter dorm room into their home away from home. But the university sets rules when it comes to decorating, and the rules present challenges. Jasmina Alston and Alex Webb found their way around the rules, all while making their spaces one-of-a-kind. 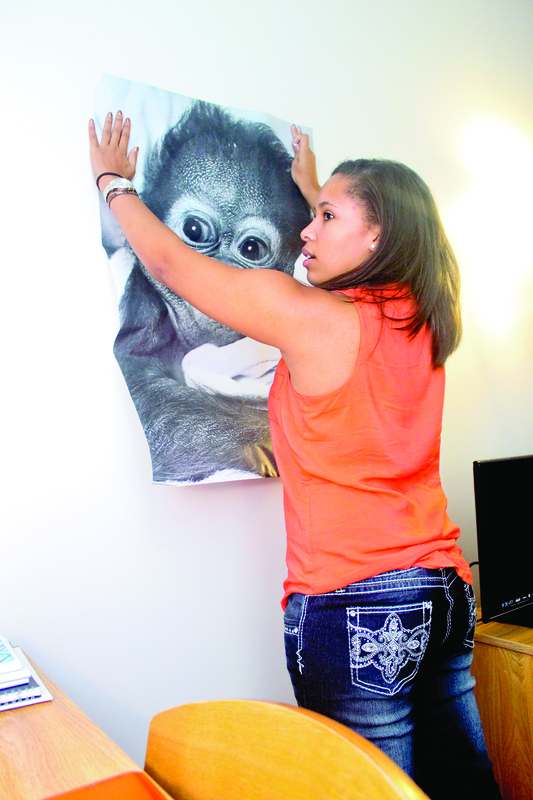 Alston, a Loft resident, keeps her room calm and comfortable. She wanted minimal lighting. Without using candles, Alston created a dim look in her room through red lamp heads and blackout curtains. Another problem Alston had with the dorm rules was that students are not allowed to hang anything from the ceiling. This may be a barrier for some students, but there are other ways to add a personal touch to your dorm. 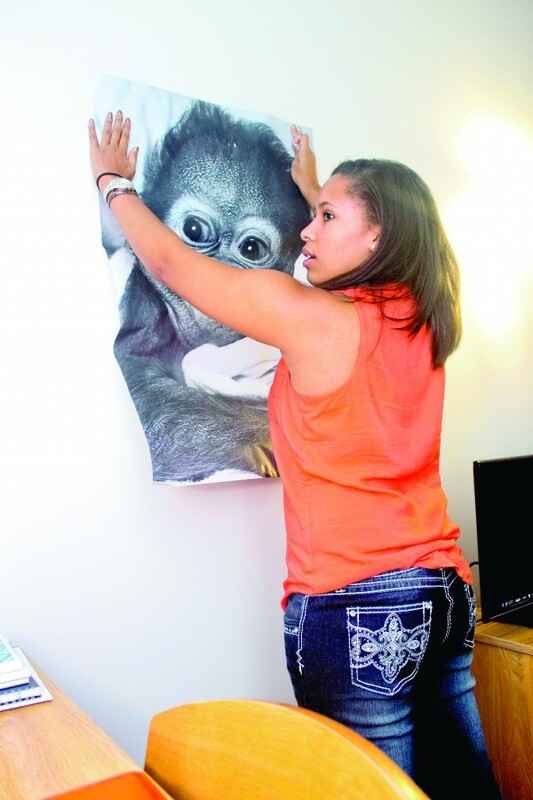 Student Alex Webb places a poster up on her walls in her dorm room by safely using painter’s tape. Although the walls cannot be painted, students are allowed to hang decorations and pictures as long as they do not make marks on the walls. Search for easy to remove, double-sided adhesives to use when hanging up posters, pictures or whatever else you have for decorating. To create a more colorful background to their rooms, students can also collect paint swatches from home improvement stores and tack them onto the walls for a splash of color.